Kawartha Arts Network (KAN) has been in existence for 11 years, starting out in 2008 as The Arts Department. The initial vision came from Andrea Percy, Charles Cooper, CJ Irwin, Michael Hughes and Anders Widjedal. Local artists were excited to participate in an organization that provided the chance to exhibit their work year round, plus make much-needed connections with others in a variety of Visual Arts fields. The list of members has been diverse and representative. As a group, they have generated much interest and support from the general public. The co-operative offers opportunities to exhibit, to be educated, and to network with artists working in a wide variety of media, facilitating new creative engagement with like-minded peers, through volunteer commitment. 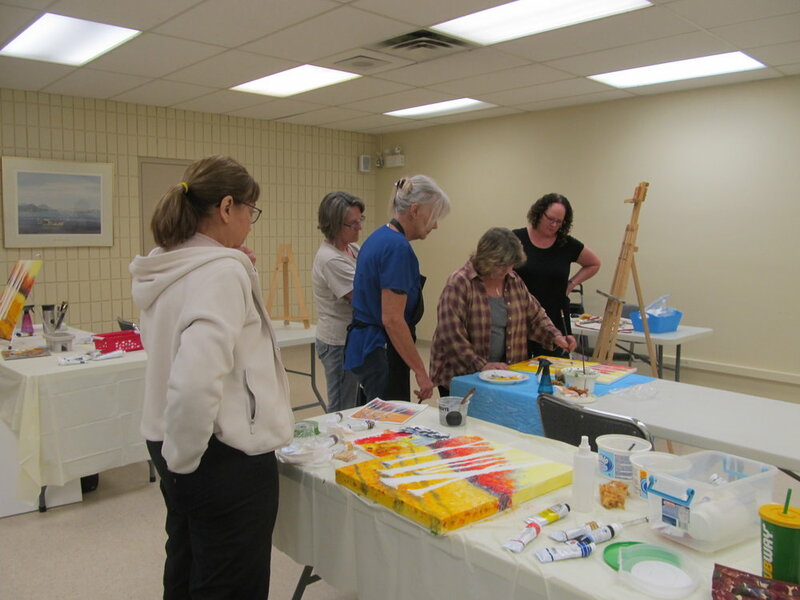 When the Kawartha Lakes Arts Council (KLAC) was formed, David Morrison and Jessie Kennedy encouraged a connection with the newly formed arts council. With the KLAC mandate to connect people in the Arts and to offer educational opportunities, Lesley Drummond accepted a position on the Arts Council Board. KAN’s membership and engagement with KLAC has helped to foster stronger collaborations and connections amongst arts patrons in Kawartha Lakes. KAN has been a member since KLAC’s inception, and a number of KAN artists have benefited from individual memberships for the advertising and educational opportunities. Further expanding their connections, KAN became a member of the Kawartha Lakes Arts and Heritage Trail. Their permanent exhibition space - originally Art on Kent and now the Guild Room of the Academy Theatre - is identified on the Trail. The KAN/KLAC partnership has grown with combined talent, resources and volunteers resulting in the annual Art and Artisan Showcase and Sale in November, “Made in Kawartha Lakes”, now preparing for its 3rd Annual event in 2019. The success of this Arts partnership is evident with all available artist exhibit space booked in 2017 and 2018 and triple the visitor attendance from one year to the next. The second Art Show & Sale’s success was greatly enhanced by the collaboration of KLAC and KAN - all benefited from the volunteers and artists working together. This two-day exhibition ‘Made in Kawartha Lakes’ is becoming the show to be seen at and offers an important platform for visual arts and artisans to show and sell their art at a seasonal time of the year. Plans are to establish “Made in Kawartha Lakes” as an important date on the yearly arts exhibition calendar.